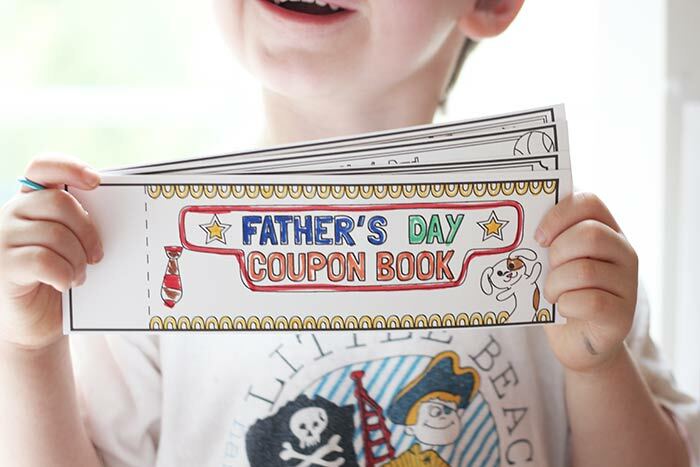 Dad will love these free printable Father's Day coupons that kids can color and customize. My husband is a hard guy to shop for. He has more ties than he can ever wear, and every tool you can think of. He loves gadgets but I am hopeless at figuring out the newest cool thing that he wants. 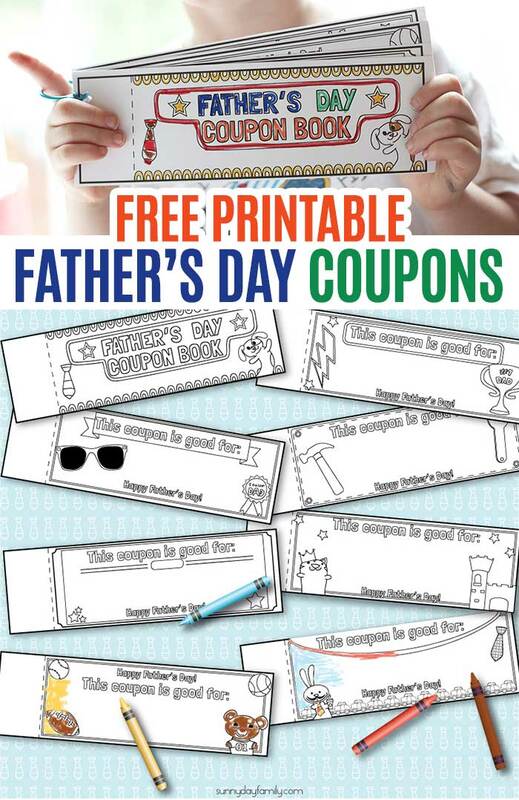 So this year for Father's Day I'm helping my boys give him something truly special that I know he will love: a set of Father's Day coupons made just for him. 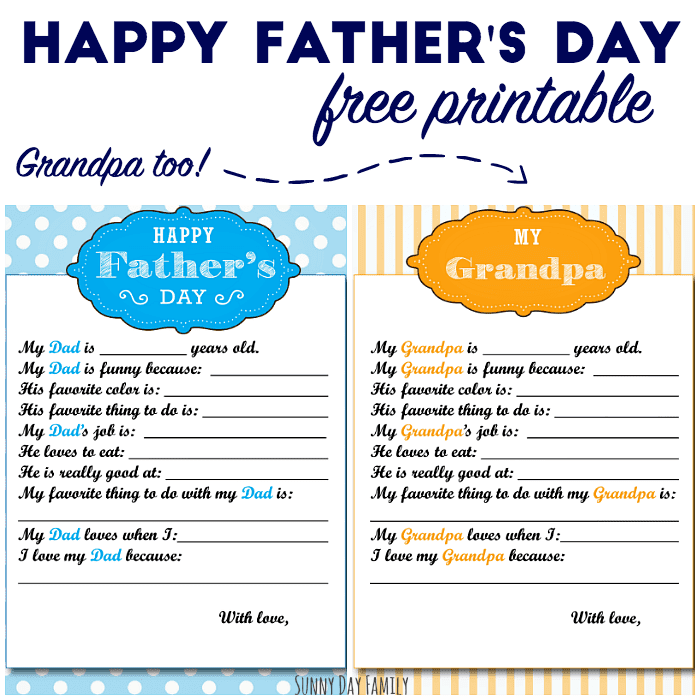 And I have them here as a free printable for the dads in your life too! 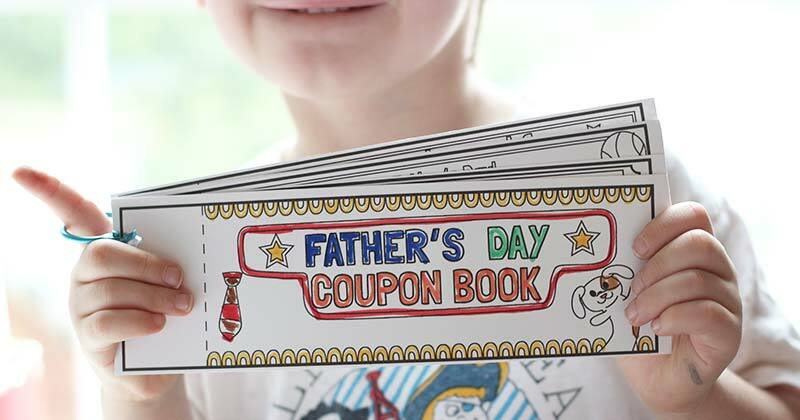 I remember making a Father's Day coupon book for my dad as a kid and how much he appreciated it (even taking me up on mowing the lawn for him, though I did a terrible job!). 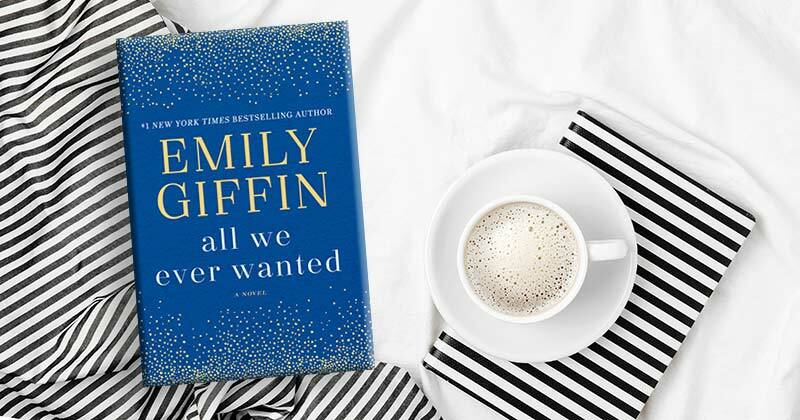 It's a really thoughtful and fun gift that works for everyone because you can customize it to what your dad loves the most. And when you fill it with experiences instead of just "stuff" its even better! 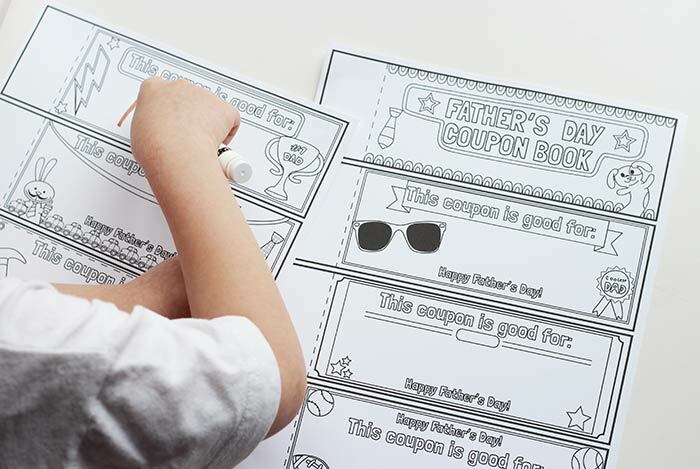 This free printable set includes 2 pages with 7 total Father's Day coupons for kids to color and customize. 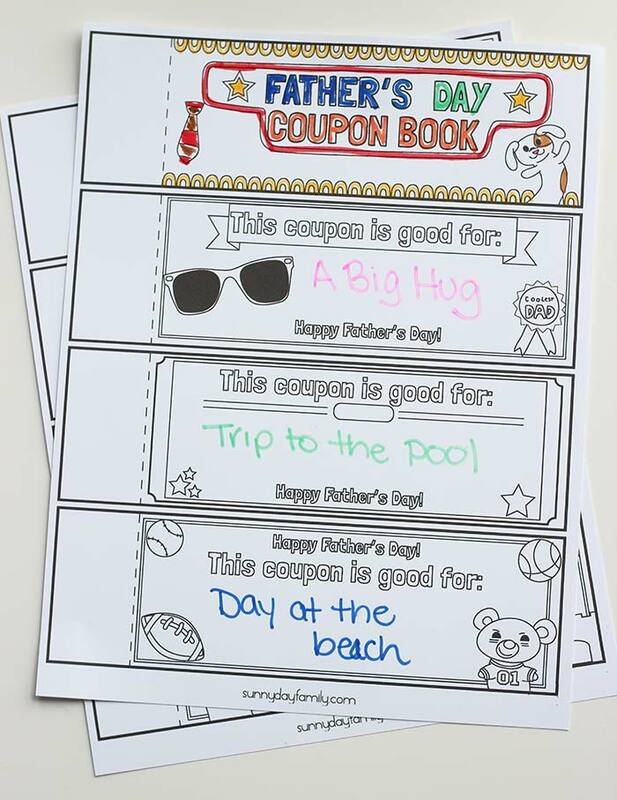 Each coupon has an adorable Father's Day themed design to color in, and a space for your kids (or you) to write in a special surprise just for dad. My boys were so excited to work on these and make them extra special for my husband. We included fun family experiences like a trip to a baseball game and a day at the beach, along with a few dad-pampering ideas like taking out the trash and washing the car. And my favorite, a big hug! Once the coupons are finished, you simply cut them apart and fasten the edge together to form a coupon book. I used a hole punch to make a hole in the top left of each coupon, then used a ring to hold them together. Now they are ready to make dad's day! 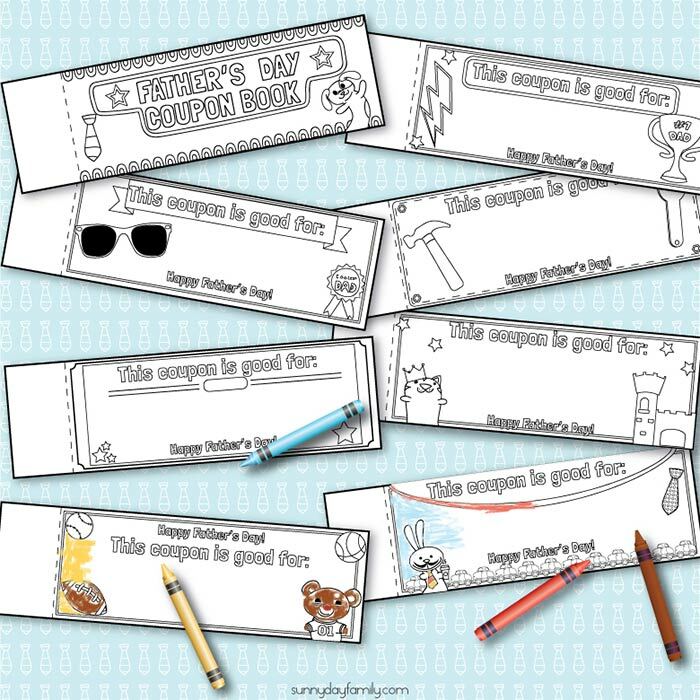 You can download the Father's Day coupon set by clicking on the button below (I recommend printing on card stock). For another special treat for Dad, be sure to check out our free printable Father's Day survey. The answers to these are always priceless, and there's even one for Grandpa! Get them here.